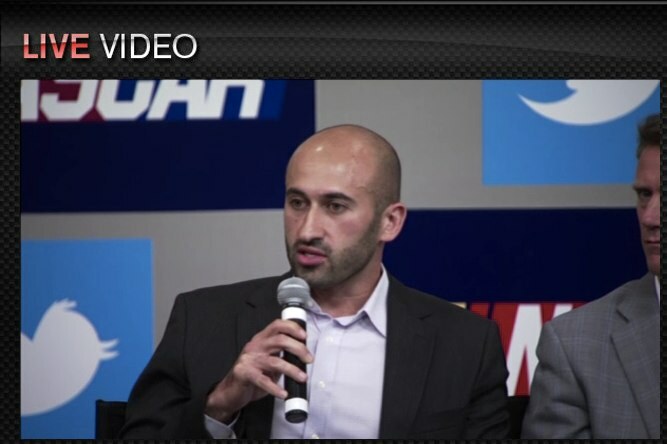 During a live press conference today, NASCAR announced that it is now the first professional sports league that Twitter has partnered directly with. The partnership will allow Twitter to bring fans of the drivers closer to the action by promoting the #NASCAR hashtag, which will also be promoted on hashtags and at venues. Twitter is also launching a new product on June 10th that will show a stream of NASCAR related content along with editorial commentary from the company itself. There will be a new algorithm driving this experience, which will mix live tweets from fans along with the editorial content, according to Twitter. If you remember the Daytona 500 at all, you’ll remember the first photo taken from a NASCAR race track which was tweeted out to millions of people. NASCAR has been playing around with Twitter promotions for some time, recently launching a campaign in which you could get your username onto a driver’s car. Twitter says the new system will work with its editorial staff paying attention to a large list of NASCAR drivers and personalities, then pinning the great content to the top of the search result landing page that is mixed with fan-created usage of the hashtag #NASCAR. Neither company spoke of any monetary agreement, saying they are looking to make the relationship tighter as the experience grows and they see how fans react.